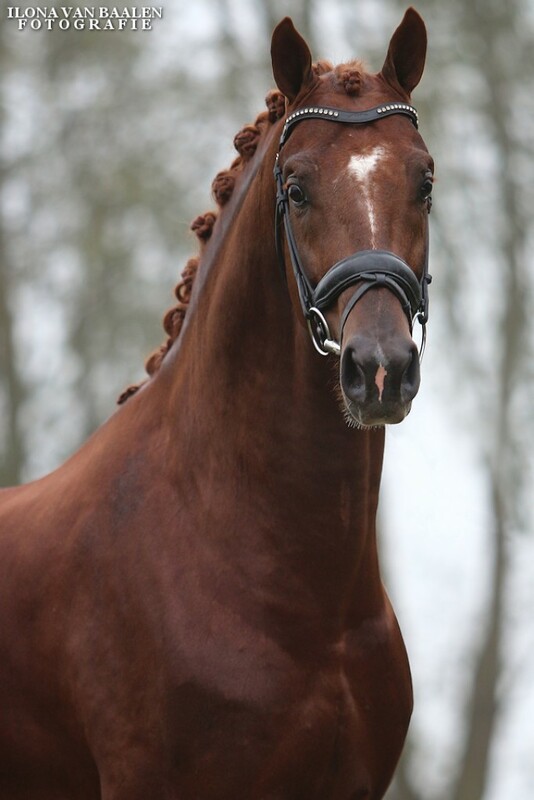 This splendid dark chestnut stallion was approved by the KWPN in 2013. Five Star received a glowing performance report; a score of eight or higher for every section. He stands out for his elasticity, carriage and balance. For these sections he even scored an 8.5. Five Star is an offspring from the first crop of the Flemming-son, Amazing Star. 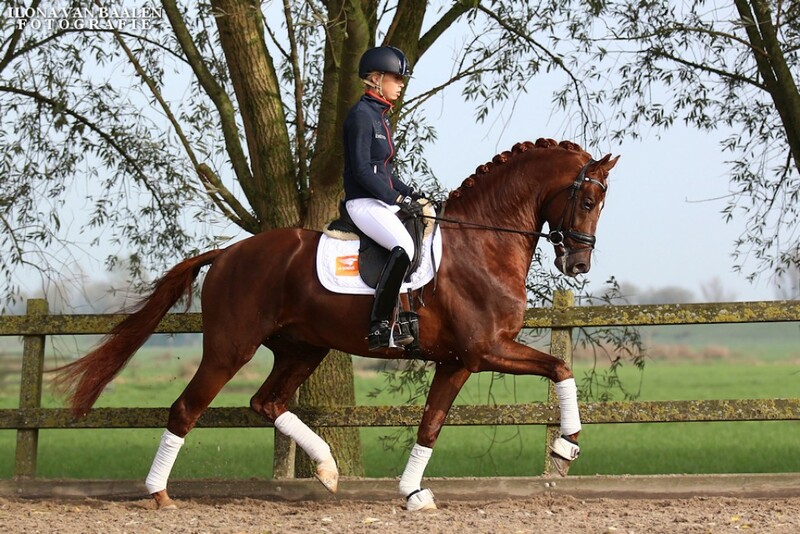 The Dutch dressage rider Theo Hanzon was very successful in dressage with Amazing Star before the stallion continued his sports career abroad. 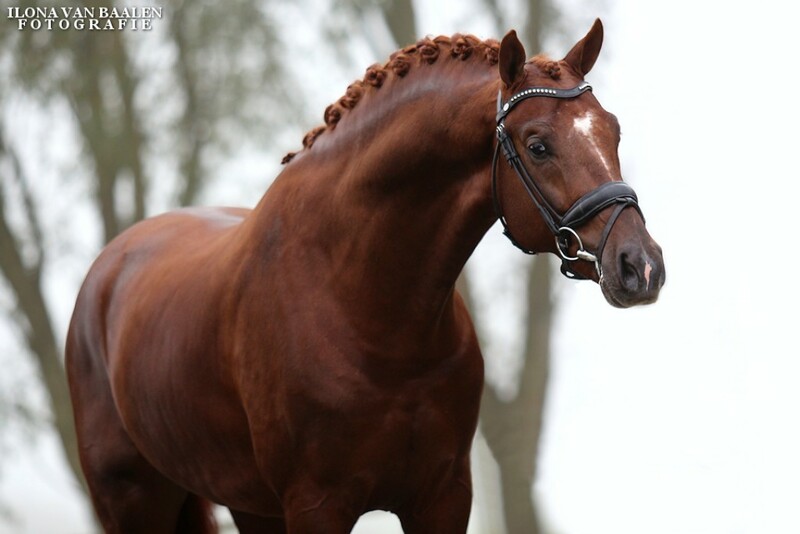 The combination won the Pavo Cup for five-year-olds in 2010 and the final of the KWPN Stallion Competition at M-level, in 2011, amongst other successes. Five Star’s dam-line is very interesting. Dam U-Padoeska is a ster daughter of the influential Jazz. 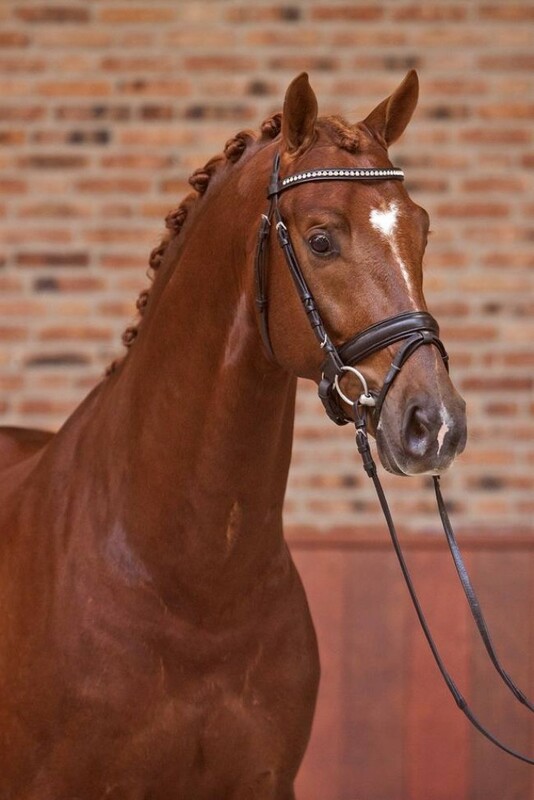 Granddam, combined with Jazz and Metall, has already produced two ZZ-dressage horses. Furthermore, Great-granddam Badoeska is a keur daughter of the keur stallion Sultan out of the ster mare Souvernir. 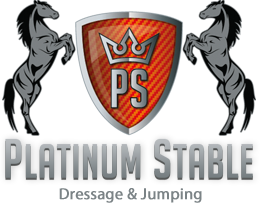 Five Star is a reliable stallion with a great willingness to work. He possesses three basic gaits that will make your mouth water. 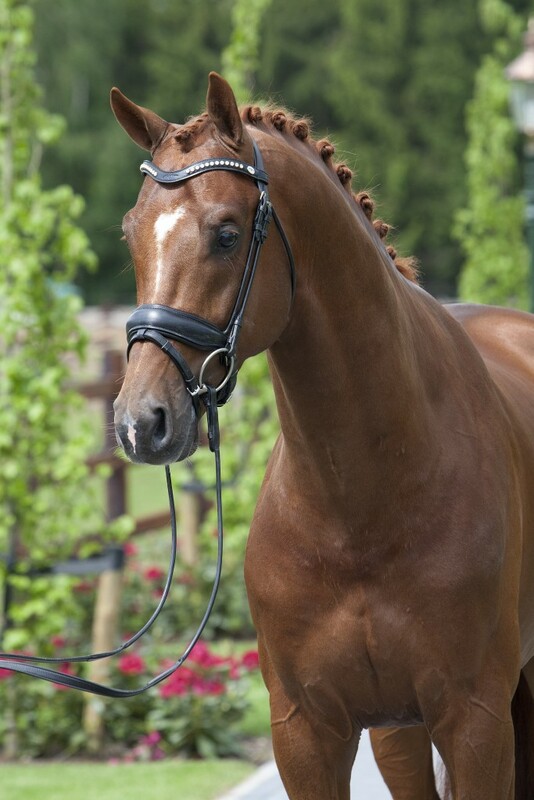 He has an active walk, a fantastic front leg action in trot and an unprecedented carriage in his canter. 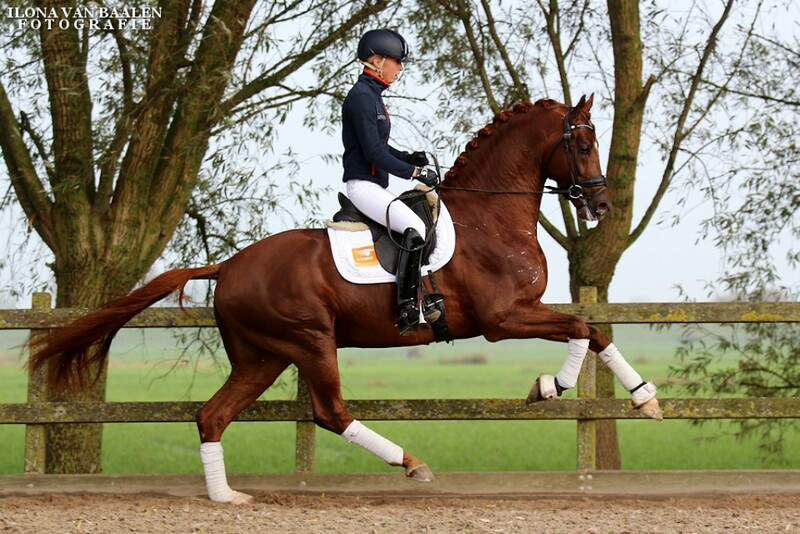 All this makes Five Star, with a natural elasticity and self-carriage, the dream-horse of every dressage rider!